The embattled‎ medical devices maker ConvaTec will announce a sweeping boardroom overhaul on Monday including the departure of chairman Sir Christopher Gent, one of the most prominent figures in British business. 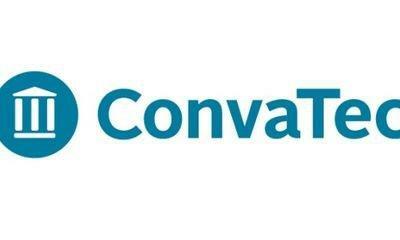 Sky News has learnt that ConvaTec, which has seen its shares slump since listing in 2016, will say that Karim Bitar, currently chief executive of animal genetics company Genus‎, will join it in the same role. His appointment will come ‎more than five months after Paul Moraviec stepped down as the boss of ConvaTec, which makes devices such as catheters and colostomy bags. Mr Bitar's arrival is intended to inject some momentum into a turnaround at the FTSE-250 company, which has a market value of £2.64bn after seeing its value slide by nearly one-third over the last year. ConvaTec's biggest shareholders, including life sciences investor Novo Holdings and a Singaporean state investment fund, are understood to have been briefed on the boardroom overhaul. Sir Chris's departure, just two-and-a-half years after ConvaTec's initial public offering in London, is likely to surprise the City. It was unclear on Sunday night whether a permanent successor had been lined up for Sir Chris, the former chief executive of Vodafone and chairman of GlaxoSmithKline, two of the London stock market's biggest companies. ConvaTec's weak performance has been a source of dismay to investors who bought in at the time of the float given management's insistence that the company is fundamentally sound. It has significant growth opportunities in international markets, with ageing populations making greater use of the chronic care products that ConvaTec manufactures. A ConvaTec spokesman declined to comment.